Yonex 8529 9 Racket Bag is a tournament level bag for holding multiple racket, shoes and clothing. The three large main compartments comfortably hold 3 rackets in each pocket. The main compartments can be used for clothing, drinks and other larger items storage with plenty of space free.Multiple side zipped pockets give storage of extra accessories and a shoe specific compartment keeps all other items fresh.Two upper carry handles and dual padded shoulder straps make the bag comfortable to carry. The shoulder straps are adjustable for better fit for different height players. Sorry, the Yonex Bag 8529 is now out of stock. 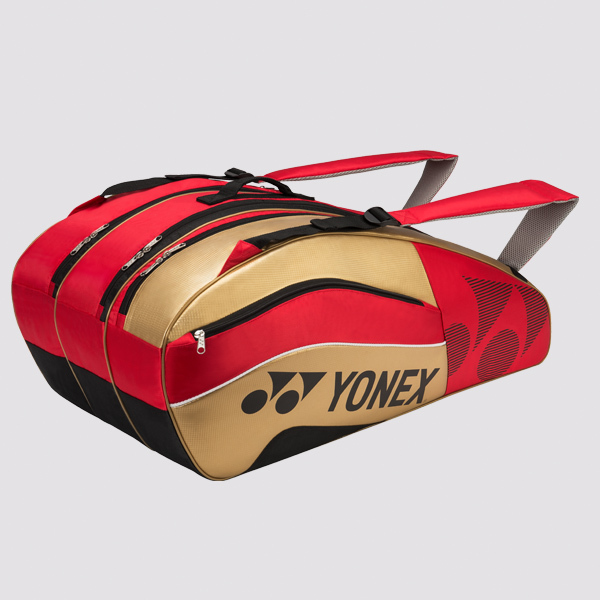 Do you own the Yonex Bag 8529?